Our Community Centres, Libraries, and Youth Programming teams have put together yet another massive school holiday program that will keep the winter blues from your home! There are stories, movies, crafts, music and much more, so click through to download a copy of the full program, or jump on our EventBrite page to start booking your places. When you fill your green kerbside bin with garden and kitchen scraps, or drop your green waste off at one of our depots, you are keeping it out of landfill and helping to produce rich, valuable compost that can be used again in your home garden. Over the next three months you can take advantage of a buy one get one free deal from Jeffries, redeemable on 30L and 50L bags of Jeffries compost, soil, and mulch. Click here to download your voucher (valid from 1/7/18 – 30/9/18). Thank you for composting your green waste. Your efforts really do make a difference! Click here to learn more about composting with East Waste and Adelaide Hills Council. Were you one of our valued volunteers at Movie Day in late May? 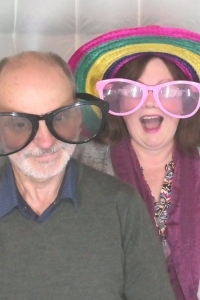 We’ve gathered photos from the Photo Nook Photo Booth and uploaded them onto our Facebook page. Have a browse and remember to tag yourself and your friends – you all look like you had a wonderful time! Click here to visit our photo gallery and if you're interested in volunteering with us, give our Volunteer Coordinator Michelle a call on (08) 8408 0400. 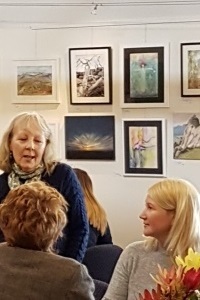 Applications are open for local artists to submit their creations to Adelaide Hills – Four Seasons to be Happy, the 2018 SALA exhibition curated and hosted by the Summit Community Centre. The exhibition will launch on 17 August, with a craft market and musical event on 26 August where the People’s Choice Award will be presented. Click here for more information or download an exhibitor’s application form today. 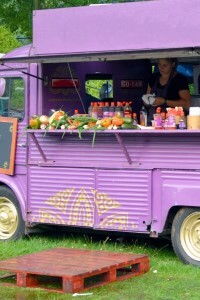 On 1 March 2018 changes to the Local Government Act 1999 and the Local Government (General) Regulation 2013 to facilitate the growth of Mobile Food Vending Businesses (MFVB) came into effect. This change impacts on Council's discretion to issue permits for a roadside trading purpose in relation to MFVB. Stage 1 of this process was conducted in early 2018 and we are now seeking your thoughts on a broader suite of proposed MFVB (food truck) preferred sites and associated location rules. Consultation is open until 5:00pm, Friday 27 July 2018. 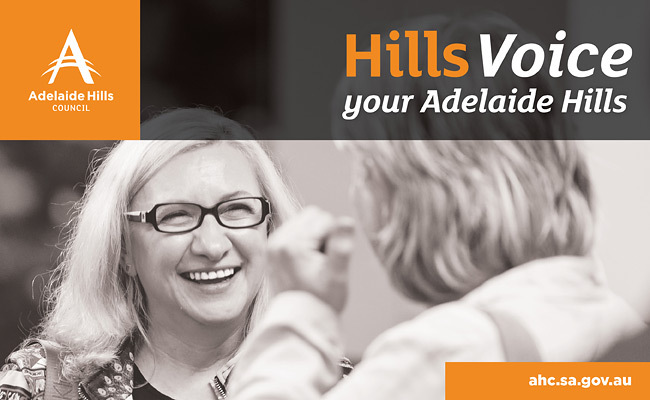 You can see the draft Rules at Council libraries and community centres, or click through to our Engagement HQ consultation site. Drop in information sessions will also be held in Gumeracha, Woodside, and Stirling. 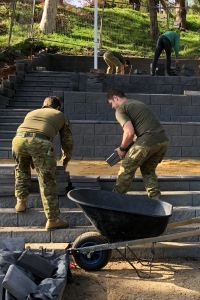 The Bridgewater War Memorial is nearing completion with thanks to help from Australian Military Forces personnel, who have been chipping in recently to assist the landscapers with the final touches. The Memorial project was imagined by the students of Bridgewater Primary School, and has come together with funding from various grants, fundraising efforts, and contributions from local businesses, including two new flag poles from the Stirling Business Association. If you would like to contribute funds to help finish this project in time for Remembrance Day, please contact Bridgewater Primary School. Any support will be greatly appreciated by the children and staff involved. Hills location chosen for new Community Bridging Services office. 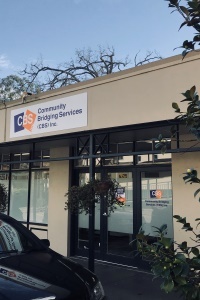 Community Bridging Services (CBS) has opened its latest office in the Hills community of Stirling. CBS, proudly South Australian for 21 years, is a leader in providing support for people with a disability in seeking employment, further education, and participation in arts and recreation. It is also a National Disability Insurance Scheme (NDIS) ready provider. This is a great addition to our community that we hope will benefit many residents and local employers. Visit CBS in Oak Plaza, Mt Barker Road Stirling, or call them on (08) 8224 2900. Reading this as a forwarded message from a friend, or through an online link? Subscribe today and receive a copy straight to your inbox next month!